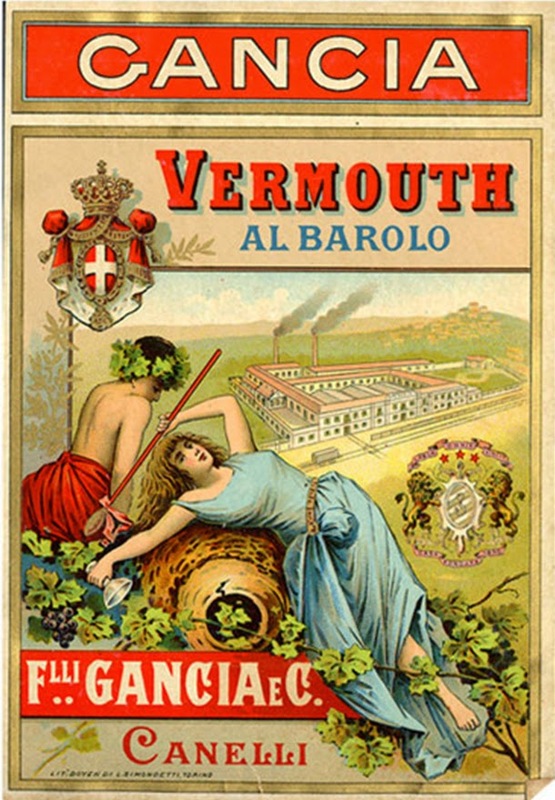 The base of vermouth is a white fortified wine, where fortified means that its alcohol content has been raised by adding spirits. 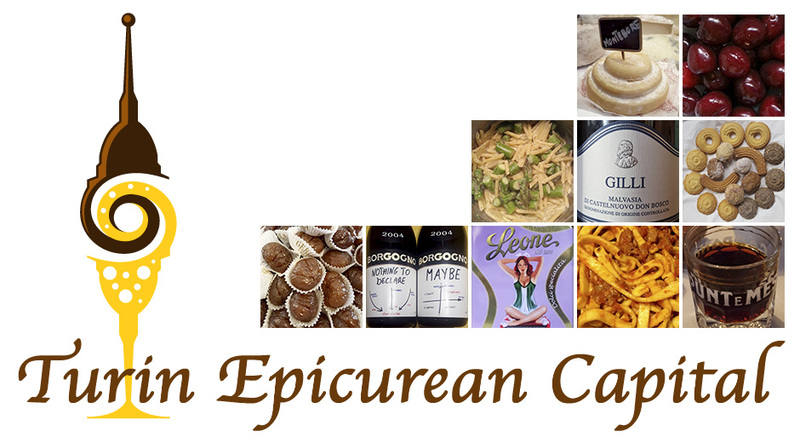 Different botanicals are added to the fortified wine to aromatize it. Vermouth is the French pronunciation of the German Wermut or wormwood - which in the 16th century, was the main ingredient added to fortified wine in Germany. Back then, these wines where mainly used as medicinal tonics. Drinking wines fortified or infused with herbs and roots dates back to 1500 BC India and to 1250-1000 BC China where wormwood was already used to cure stomach disorders. A similar drink was used in ancient Greece too but "vermouth" with its modern name has been commonly drunk in England since the mid 1600s. 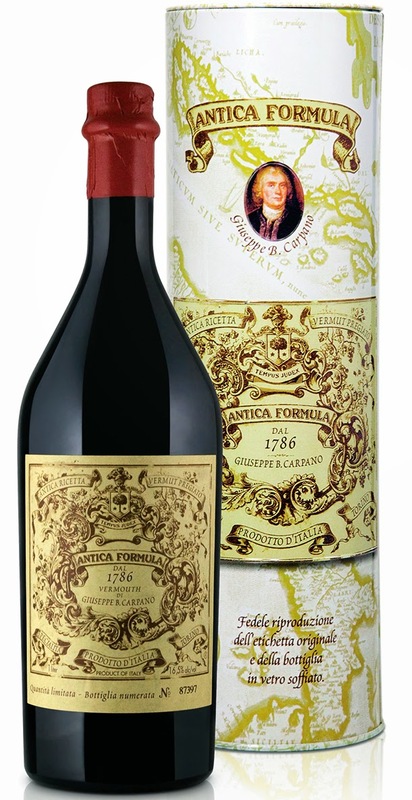 However, by the end of 1700s, vermouth consumption changed from medicinal to aperitif in Italy and France, thanks to the wide variety of alpine herbs that could be added to this wine. By the late 1800s, bartenders loved it as a cocktail builder. Nowadays, there are different brands and versions of vermouth on the market, and their recipes are kept a secret, yet new versions always come out as the key is in the herb and spices mix. 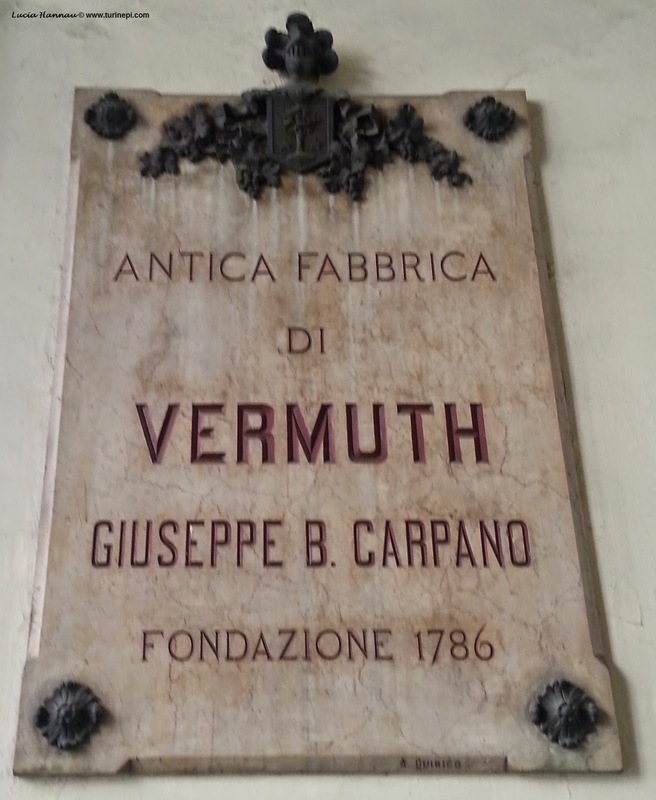 Upon opening the first vermouth factory in 1786, Antonio Benedetto Carpano contributed to put Turin under the wine culture spotlight. Today, you can still look at his gravestone in Piazza Castello 11, and you can see the sign above in this post that was taken at Palazzo Carpano, in Via Maria Vittoria 4. Mr Carpano, a native of Broglio near Biella - hometown to Ermenegildo Zegna, following the teachings of the monks living in his mountain valley, at only 22, created the Carpano vermouth by adding a mix of about 30 herbs and spices to white wine. Back then, he was a simple shop helper in a liquor store; such a store though, became so popular thanks to his vermouth that it was open 24h a day on certain days of the week up to the early 1900s. 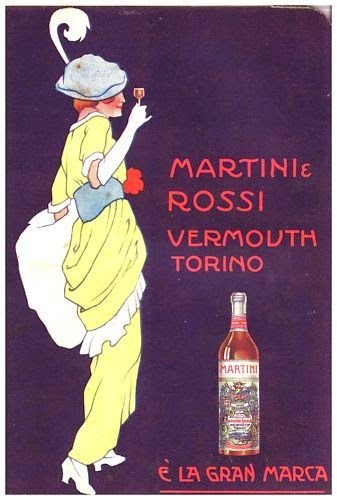 Quickly vermut became the drink of choice of the royal family in Turin, and when King Victor Amadeus III received a gift basket with some vermouth bottles, he enjoyed it so much as to stop the royal production of rosolio (rose petals liquor) to start a vermouth one! 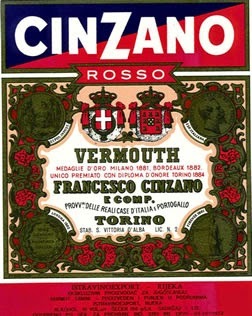 In 1870, the Carpano company produced a bitter version of vermouth, branded as Punt e Mes as it was "corretto" or added of half a dose of alcohol mixed with chinchona bark. With the years other brands have come up; today, France and Italy produce most of the vermouth consumed in the world but other countries have started their own production too. Vermouth di Torino is a protected designation of origin certification that indicates all the products following the Carpano model. So, when a product is labelled "Italian vermouth" or "sweet vermouth" it indicates this style. 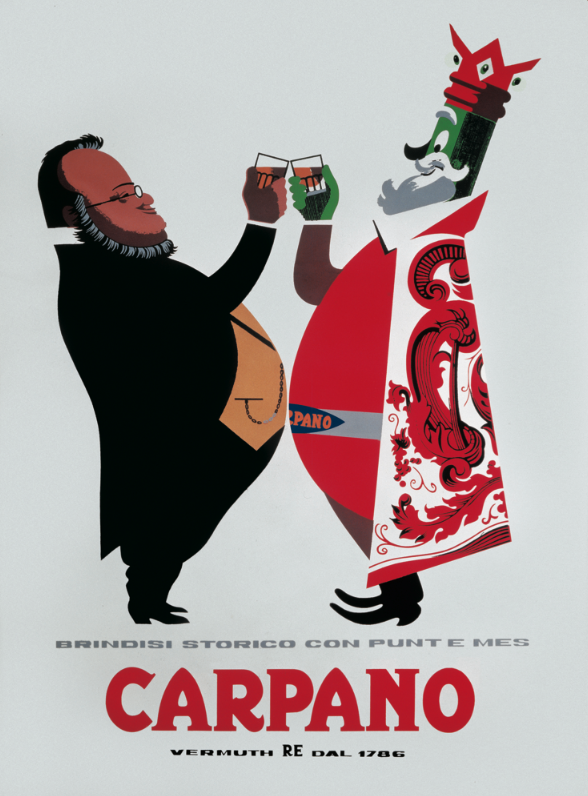 Besides Carpano, Turin saw the birth of other vermouth brands like: Martini & Rossi, Cinzano, Cocchi, Vermouth del Professore and others were born in Piedmont like Contratto, Gancia, Martelletti, Cora (Bosca) and Mancino. There is even a vermouth built on Erbaluce di Caluso and Moscato d'Asti by Riserva Carlo Alberto. this Punt e Mes label shows Italy 1st PM toasting with the "king of vermouths"
Traditionally, there are sweet and dry vermouth, but demand and competition have brought to the creation of different variants. The first Carpano vermouth was red and this is the version that became famous in the 1880s as a cocktail base. White, dry and even rose' versions came out later.